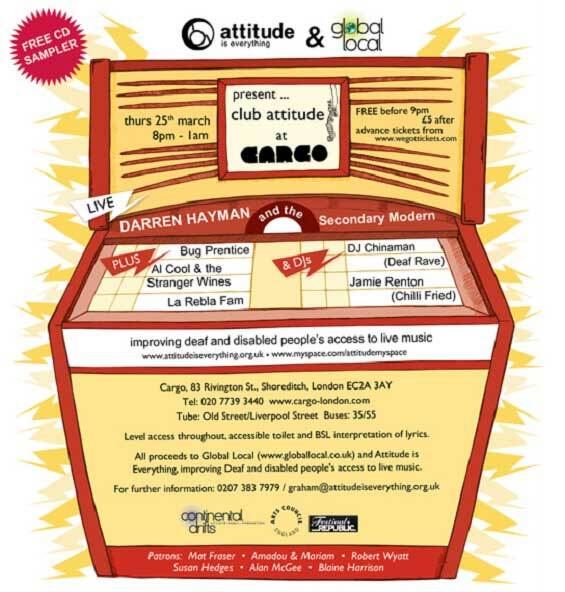 Attitude is Everything, improving Deaf and disabled access to live music. Helen & Douglas House is proud to announce yet another stunning line-up for Childish Things 5 at the New Theatre, Oxford on Thursday 14 May at 7.30 pm. This annual night of comedy and music is in aid of the Oxford based charity for children and young adults with life shortening conditions. Acts this year include comedy stars such as Jo Brand, Patrick Kielty, Sean Lock, Kevin Eldon, Isy Suttie, Daniel Rigby and the Comedy Store Players. There will also be music from a cappella group Out Of The Blue and singer-songwriter Ally Craig. Tickets can be bought from the New Theatre website, or instore at Helen & Douglas House shops in Abingdon, Chipping Norton, Thame and Witney.